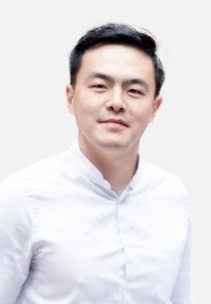 Geoff Woo is CEO and Co-founder of HVMN. Geoff believes the team at HVMN is at the forefront of a massive revolution at the intersection of digital health, genomics, and things we consume. He holds a BS with Honors and Distinction in Computer Science from Stanford University. I got into biohacking as a personal path to increase my personal productivity and health. As I started reading the literature, understanding the biological mechanisms and clinical trials, and got plugged into the community of fellow biohackers, I realized that there was a lot of friction that a lot of people were going through to “biohack.” There was a lot of misinformation out there, and a lot of hacks like building your own nootropic or cognitive enhancement stacks that required a decent amount of equipment in a home laboratory. That’s when my entrepreneurial lightbulb went off. If I could make a really great experience around biohacking, maybe everyone would be a biohacker. Engineering techniques are increasingly applicable on the human platform. The key macrotrend driving biohacking is the dropping costs and rapid adoption of biosensors. Footstep tracking 10 years ago would have been something Olympic athletes track. Now everyone tracks their footsteps as part of their jewelry. Biohackers today are tracking blood glucose and blood ketone levels through quasi-implant wearables and blood pricks, but these biometrics will soon as easy to track data as footstep tracking. Soon, everyone will have their own biological data that used to be only accessible through expensive doctor prescribed lab tests. Developments like optical glucose tracking via Apple Watch or through a contact lenses as worked at Alphabet are examples in this direction. Another broad macrotrend is the rise of understanding and research around ketosis and ketones as an alternate, superfuel for metabolism. There’s a lot of attention and research around ketogenic diets or low-carb diets right now and a lot of people are looking at re-inventing the human food supply. Thus, both outputs of the human system i.e. biometrics and it’s tracking and inputs into the human system i.e. foods are being reinvented now. Any time an organization deals with human health, it’s important to operate transparently and in-line with the FDA and other regulators. With the rise of human enhancement technologies like genetic engineering, neurotechnologies, and implants, industry will be pushing the limits of what is known and well-defined by regulators. We as an industry need to work together with regulators to make sure we enable human enhancement in a responsible, safe way. I simply wanted effective, safe and well-researched nootropic stacks to improve my work productivity. Nothing on the market existed, so I decided to make my own. That’s how it all started. We’re ramping up clinical trials and key research partnerships. We’re acquiring intellectual property around exciting molecules and compounds with potential for further increasing human performance, metabolism, and longevity. Organizing one of the largest online biohacking and intermittent fasting communities has been a key initiative of our success. Find it at HVMN on Facebook or www.wefa.st. Facilitating real discussions and real conversations with people around the world gave me some key insights into product ideas that would best serve my core customer base. It also gives us a ton of credibility as we talk to media and investors about our leadership within the biohacking movement. A community is probably the strongest asset of any business. Customers are part of the family and not just a transaction. Consistency every day is the hardest. It’s easy to be inspired for a few days or to grind through some fires that pop up through business. But the hardest is showing up every day with focus, energy, and passion for 10 years. I’m on year 3 but I plan on doing this for the rest of my life. This marathon spirit is what differentiates just a burst of passion with a body of work that can change culture and change millions of people’s lives for the better. The ideal experience for a customer is to get the full Nootrobox stack and a set of Go Cubes from HVMN, and use them every day for the rest of their life. We think we have solutions to supplement for all aspects of the day. The customer then gets involved with our community and gets smart about their own health and biometrics. Eventually, they bring in their friends and families into the world of biohacking. The best motivator is leading my example. In the early days of Nootrobox, I was not just CEO, I was also customer support agent and fulfillment center box packer. I’ve done everyone’s job so I know how important and how difficult every role has. I show up early and leave late. My passion for the work is real and my employees see that and I think that spirit rubs across the organization. Read metabolism and biochemistry textbooks, read top papers being published, and talk to world experts from top universities. In biohacking, the field is so new and evolving, so staying at the forefront of technology and science allows me to be steps ahead of everyone else. Everyone else is still reading 3rd hand reviews of the primary source. I get it a couple years earlier.